So you’ve decided to take a trip. You have even decided on the destination and general area in which you would like to stay. Now, all you have to do is book your ticket. Expedia is the obvious choice for most Caribbean people but you’ve heard of some great apps and booking sites thanks to social media or perhaps from friends abroad. Not to mention that most of us receive US TV and have access to youtube. Then….frustration. Most of the sites don’t offer special deals out of your island or worst yet, the site doesn’t even recognize your island’s airport code. Shocking! Well, don’t despair. 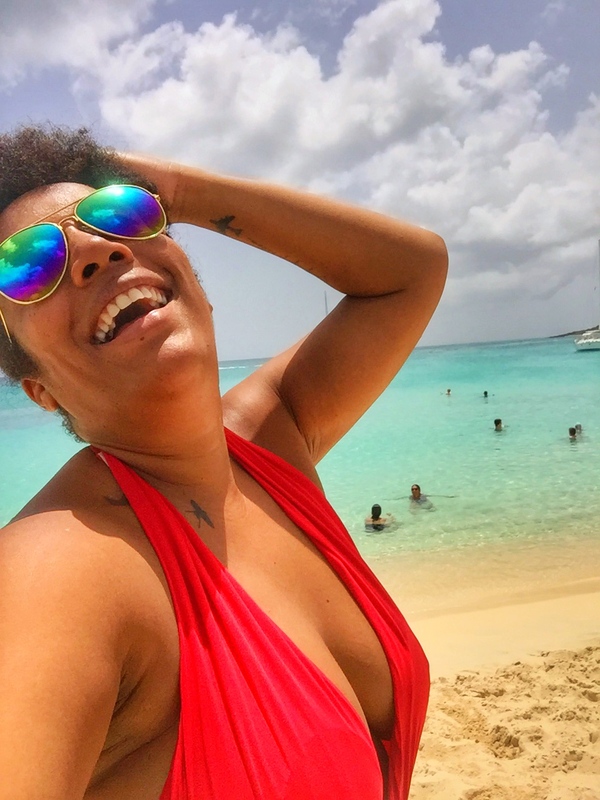 I’m here to let you in on some of my secret apps and travel sites that will definitely work for you, regardless of the tiny size of the island you might call home. Let’s start with the obvious, shall we? Expedia like I said is the obvious choice for many and I can totally see why. It is my husband’s go to site whenever we decide to go on a trip together. I think it’s rather touristy but I totally get the appeal, especially because you can book hotel, flight and car combos, which can save you quite a lot. Hell, it even allows you to book activities and tours at a discounted rate. Download their app for easy access to your reservation and itinerary or to search for hotels on the go. My husband is the tourist and I am the traveler. I love finding my own way rather than go to a one stop shop like Expedia. Whenever it’s time for a trip I check with Google Flights first. What I love about it is that you can punch in the code for the airport you’ll be departing from and HOT DAMN, it actually recognizes the airport code for St. Maarten and many other Caribbean islands. You can then either type in your destination airport or type in “anywhere” if you are like me and don’t know half of the time where the hell to go to next. Add the dates and it gives you the cheapest flights on the dates you picked, plus dates that might save you even more. It can give you recommendations of where to go in the time period you typed and allows you to search by the type of travel you want to do, like sightseeing, shopping, nature, etc. It’s just awesome and I love it. Don’t get me wrong, I love staying at nice hotels just like the next gal but I prefer to sometimes to stay in an apartment or a house. It gives me the opportunity to really get to know the city or town I’m in. To feel like a local, Airbnb is the app to consult. There has been quite some negative news on Airbnb lately, including that some hosts are racist, others that rent you an apartment that is not really theirs, creepy hosts and ridiculously overprices places to stay. So always check the reviews from those who have stayed at that particular place before you. I especially love the mobile app of Airbnb. I am both a host and a traveler on it and it is so simple to use. I can book a place or accept a reservation on the go wherever I am. Step back and kiss yourself. The traveling app of all traveling apps is here. Well, ok I may be over exaggerating a bit but I can’t help myself. This app is the coolest. TripIt keeps your whole trip and itinerary organized, hence why it’s called a travel organizer. It is linked to your email and automatically takes travel related emails and files them under your upcoming trips. Flights, accommodations, tours are all neatly organized per destination. Did I already mention how much I love Tripit? And no, I am not getting paid to say that. I don’t need to tell you how irritating it is when you’re out exploring or trying to find that restaurant everyone has told you to try. You use your maps app on your phone and next thing you know you have a roaming bill of $500+. It has happened to me. Data roaming is a big no-no, especially for most islanders. Not to worry there’s an offline map app you can try. Maps.me is an offline app that allows you to download a detailed map of any destination and use it on the go without needing the internet. You can search for locations, routes and can now even book hotels via this app. Besides Map.Me I also use HERE Maps. It is a similar app that also allows you to download a map to any destination but the great thing about Here Maps is that it uses your GPS location to show you exactly where you are so that you can see how lost you really are. I used this in both Toronto and in DC and must say it came in quite handy when roaming the streets of these busy cities. I use Map.me to map out where I need to go and Here Maps when I’m roaming a place by foot or bike. Super useful app for wherever you may be traveling to or just to check on the currency exchange between the US Dollar and the Euro. This is especially handy for those living on St. Maarten where you have a French side with Euros and a Dutch sed with Antillean Guilder and US Dollar. Just enter the amount in your main currency and click on “convert”. Voila! You now have the amount in Euros, Dutch Guilders, Canadian Dollars, British Pound, Japanese Yen and any other currency you might be interested in. A fun little app that helps you with your packing. Enter your destination, whether it’s for business or leisure, the dates and your activities while there and it gives you a list of suggestions and essentials to pack. It comes in handy if you’re a bit forgetful like me or if you’re heading to a new destination and you have no clue what to pack. Most airlines nowadays have their own app. I always make sure I have the app for whatever airline I’m traveling with. It’s a good way to check if the flight is on time or what the airline’s baggage policies are. Weather Underground has long been my go-to website for accurate weather forecasts and now it has its own app: Wunderground. You can get detailed forecasts of any destination, including where you live. This makes planning for your upcoming trip easy, not to mention that you now know if a sweater or two is necessary or not. It also allows you to switch between fahrenheit and celsius. I grew up with Celsius so for me this was a total deal maker or breaker. There you have it. My app suggestions for this summer. There are new apps being added everyday and I will dutifully continue to check all of them before posting them here on the Traveling Island Girl blog. So you can expect follow up blog posts with a list of new apps to try out on your next vacation. Should you know of a really great app that works well for islanders, let me know, don’t keep it to yourself. Jut go ahead and spill it in the comments below. In the meantime remember to always live, laugh and travel.